MAKE UP TRYOUTS SCHEDULE & INFORMATION. Make up tryouts will be held on Sunday, January 27 at Diablo View Middle School (in the gym). Tryout times begin at 4:30 PM. 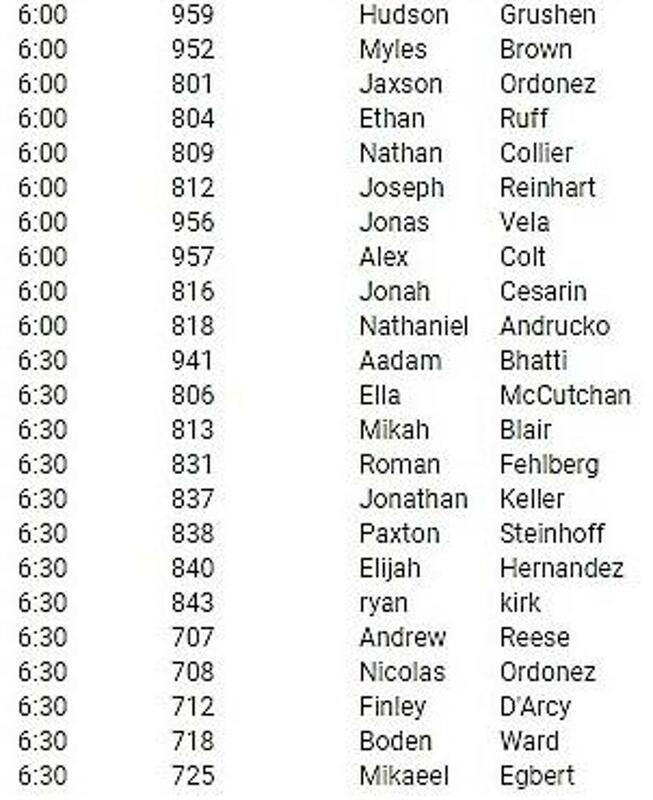 If you have a player that missed the first round of tryouts, please find their designated time slot on the list below. If you are unable to make tryouts, please email us at info@cvll.org. 1. 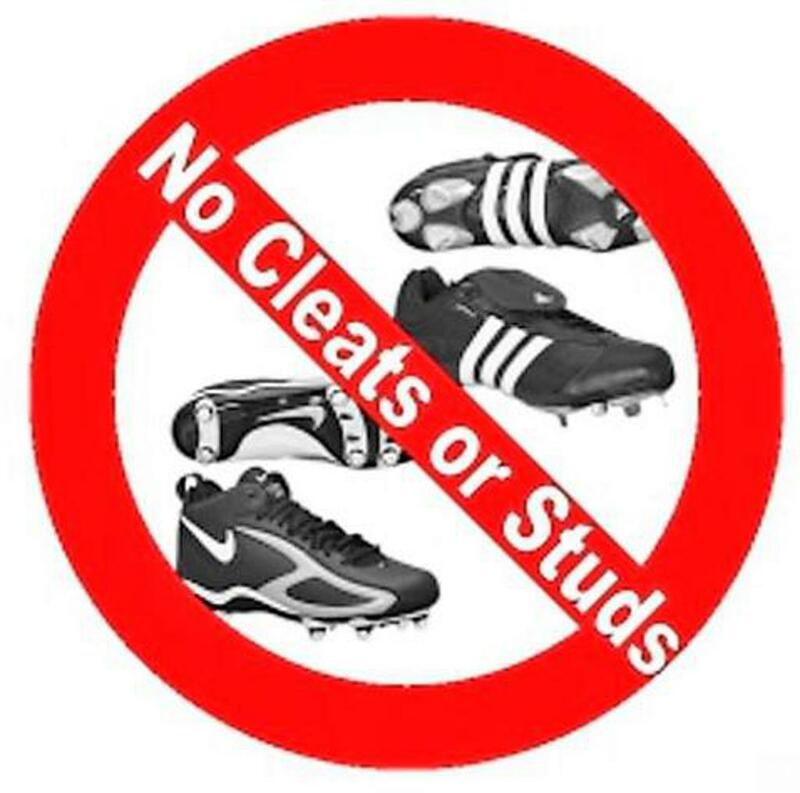 NO CLEATS!!! Please bring tennis shoes only. 2. Please bring your player's glove, helmet & bat if you have them. We will provide helmets & bats if you do not have them. 3. Please arrive AT LEAST 15 minutes prior to your tryout time to check in & get ready. We are on a tight schedule & would appreciate your courtesy. 4. Be kind & understanding to all of our volunteer staff. Contact us at info@cvll.org to let us know that you want to help out. Volunteer for the whole session, or however long you can! 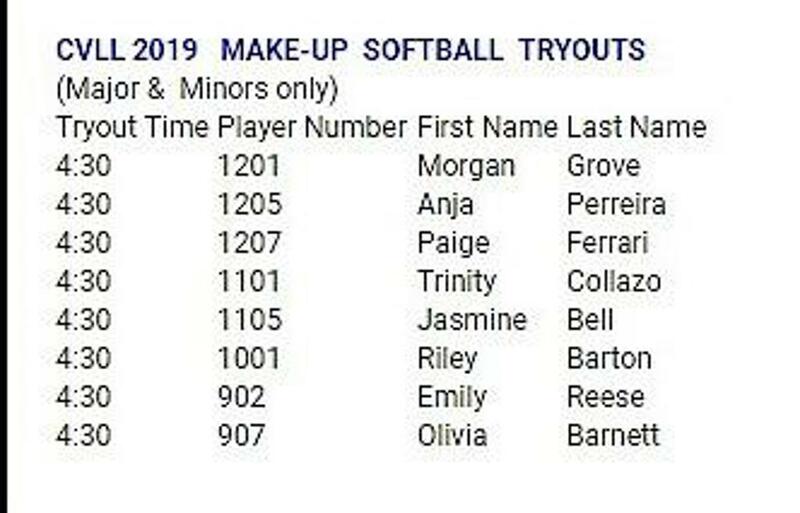 >Make-up Tryout player names, times, and numbers are listed below.